TREATMENT TECHNOLOGIES & INSIGHTS, INC. PLEASE NOTE THE ARBITRATION PROVISION SET FORTH BELOW, WHICH MAY REQUIRE YOU TO ARBITRATE ANY CLAIMS YOU MAY HAVE AGAINST TTI ON AN INDIVIDUAL BASIS. EXCEPT WHERE AND TO THE EXTENT PROHIBITED BY LAW, ARBITRATION ON AN INDIVIDUAL BASIS MEANS THAT YOU WILL NOT HAVE, AND YOU WAIVE, THE RIGHT FOR A JUDGE OR JURY TO DECIDE YOUR CLAIMS, IF ANY, AND THAT YOU MAY NOT PROCEED IN A CLASS, CONSOLIDATED, OR REPRESENTATIVE CAPACITY. Information You Give Us. We may collect, store and use personal information that you may voluntarily submit to us, including your name, postal address, email address, phone number, username, password, demographic information (such as your gender and occupation), date of birth, profile image, and contact preferences. We may also collect, store and use certain health information that you elect to provide to us through the Services, including diagnosis information, symptoms, treatment information, and activity. In using the Services, you are free to skip any non-required questions or data fields that make you feel uncomfortable. You are also free to stop using the Services at any time. Information Automatically Collected. We may collect certain information automatically, including, but not limited to, the type of mobile device you use, your mobile devices unique device ID, the IP address of your mobile device, your mobile operating system, the type of mobile Internet browsers you use, and information about the way you use the Services, including the sections and features of the Services you viewed or used, and how long you spent on a particular section or feature. Information We Get from Others. We may obtain information about you from other sources such as in connection with a medical study that you are participating in with a health care provider that encourages your use of our Services in connection therewith. We may add this to information we obtain from the Services. to operate, maintain, and improve our products, and services. to send information (by email or application-based notifications) including confirmations, technical notices, updates, security alerts, and support and administrative messages. to communicate to you (by email or application-based notifications) about promotions, upcoming events, and other news about products and services offered by us and selected partners. as otherwise in compliance with the law. We may share personal information with your consent. For example, you may direct us to share your personal information with your treatment center, including your physician’s office. You may also consent to sharing your personal information with third parties for their own marketing uses. Those uses will be subject to the privacy policies of these third parties. We may share personal information when we do a business deal, or negotiate a business deal, involving the sale or transfer of all or a part of our business or assets. These deals can include any merger, financing, acquisition, asset sale, joint ventures or bankruptcy transaction or proceeding. We may share personal information with third-party service providers, agents or independent contractors who help us maintain our websites and applications, and provide other administrative services to us. These third parties are subject to appropriate nondisclosure agreements to ensure confidentiality. In addition to serving the individual needs of our users, we are dedicated to better understanding patient experiences and optimizing treatment options and outcomes for everyone. To help us achieve this objective, we may anonymize your data such that it is no longer personally identifiable, and share this data with others, including with the general public and third parties. In this way, we can analyze the data and explore questions like, “Do certain medications work better for certain types of patients versus others?” or we can help determine the success rate for patients following a particular treatment protocol. We may also provide anonymized information to others for their own uses, including medical and market research. By using the Services, you understand and agree that TTI may use your anonymized data for any and all lawful purposes on a worldwide, royalty-free, perpetual, irrevocable, fully-transferable and fully-sublicensable basis. Essential. Some cookies are essential in order to enable you to move around our websites and app and use their features, such as accessing secure areas. Without these cookies, we cannot enable appropriate content based on the type of device you are using. Browsing and Functionality. These cookies allow us to remember choices you make on our websites, such as your preferred language and the country from which you are visiting, and provide other more personalized features. Performance and Analytics. These cookies allow us to analyze, predict, and improve the performance of our products and services. There are several ways to manage cookies. You can instruct your browser to refuse all cookies or to indicate when a cookies is being sent. The “help” feature on most browsers provide information on how to accept cookies, disable cookies or notify you when receiving new cookies. Please note, however, that many of the cookies we use are “strictly necessary” cookies. By blocking or deleting these, you will not be able to access certain features of our Services. You can stop all collection of information by the Services easily by uninstalling the Services. You may use the standard uninstall processes as may be available as part of your mobile device or via the mobile application marketplace or network. 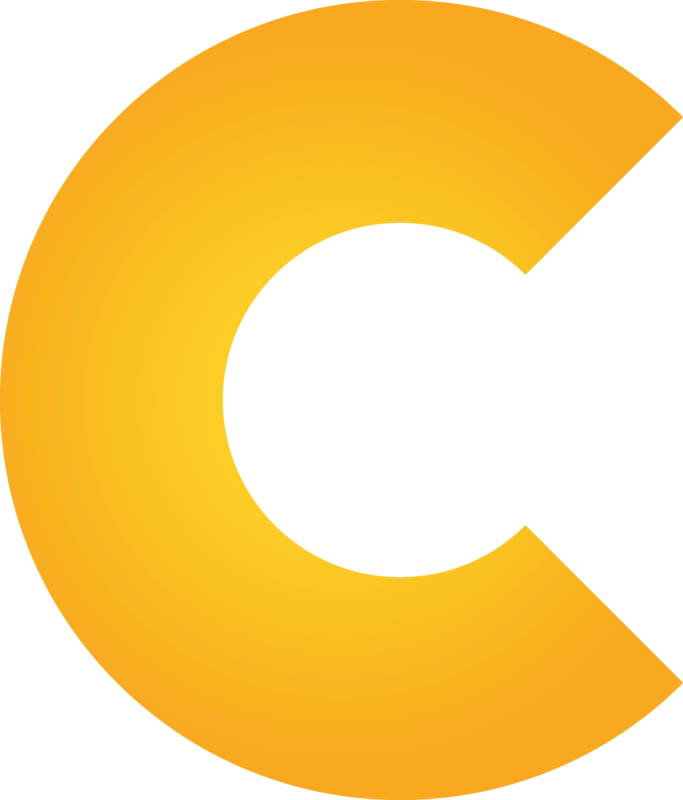 You may also request to delete your chemoWave account via email, at privacy@chemowave.com. Our marketing emails tell you how you can “opt-out.” If you opt out, we may still send you non-marketing emails. Non-marketing emails include emails about your accounts and our business dealings with you. Notifications can be disabled through your mobile device operating system. You may send requests about personal information to our Contact Information below. You can request to change contact choices, opt-out of our sharing your information with others, and update your personal information. We will retain your personal information for as long as you use the Services, and consistent with our data retention policies. We may retain automatically collected information in a manner that does not identify you. If you’d like us to delete data that you have provided to us via the Services, please use the “delete my account” feature in the app or contact us at privacy@chemowave.com and we will respond within a reasonable time and in accordance with applicable law. Please note that some or all of the data you provided may be required in order for the Services to function properly. If you choose to provide us with your information, we may transfer that information to affiliates, partners, or other third-parties located outside of your home country. If you are visiting from the EU or other regions with laws governing data collection and use that may differ from US law, please note that you are transferring your information to the US, which does not have the same data protection laws as the EU. We will comply with applicable law regarding cross border data transfers and rely on Privacy Shield Self certification, standard contractual clauses approved by the European Commission, or adopt other means under EU law, to legitimize transfers from the EU to the US and other countries. The privacy and security of patients’ personal information is important to us. While we are not considered a “covered entity” as defined by the Health Insurance Portability and Accountability Act of 1996 (HIPAA), a federal law designed to protect health insurance coverage for individuals and their families, we nevertheless do our best to follow the privacy and security requirements established by HIPAA as privacy and security guidelines for our use, disclosure and protection of personal information obtained through the Services. We are concerned about safeguarding your personal information. We provide physical, electronic, and procedural safeguards to protect information we process and maintain. Please be aware that, although we endeavor to provide reasonable security for information we process and maintain, no security system can prevent all potential data privacy and security breaches. It is important that you protect and maintain the security of your account credentials and you need to immediately notify us of any unauthorized use of your account. We may use third-party products and services to secure or store your information. For example, your information is stored and maintained on the HITRUST certified cloud-based infrastructure created and maintained by Amazon Web Services (AWS). However, we note that no data transmission over the Internet can be guaranteed to be 100% secure. Consequently, we cannot ensure or warrant the security of any information you transmit to us. Please understand that any information you transfer to us is done at your own risk. If we learn of a data privacy or security breach, we may attempt to notify you electronically so that you can take appropriate protective steps. By using the Services or otherwise providing us with personal information, you agree that we can communicate with you electronically regarding security, privacy, and administrative issues relating to your use of the Services. We may post a notice on the Services if a data privacy or security breach occurs. We may also send an email to you at the email address you have provided to us in these circumstances. Depending on where you live, you may have a legal right to receive written notice of a data privacy or security breach. We do not use the Services to knowingly solicit data from or market to children under the age of under the age of 16 years old. If a parent or guardian becomes aware that his or her child has provided us with information without their consent, he or she should contact us at privacy@chemowave.com. We will delete such information from our files, in accordance with applicable law. Both you and we agree that this dispute resolution procedure is a condition precedent that must be satisfied before initiating any litigation or filing any claim against the other party. IF ANY DISPUTE CANNOT BE RESOLVED BY THE ABOVE DISPUTE RESOLUTION PROCEDURE, YOU AGREE THAT THE SOLE AND EXCLUSIVE JURISDICTION FOR SUCH DISPUTE WILL BE DECIDED BY BINDING ARBITRATION ON AN INDIVIDUAL BASIS. EXCEPT WHERE AND TO THE EXTENT PROHIBITED BY LAW, ARBITRATION ON AN INDIVIDUAL BASIS MEANS THAT YOU WILL NOT HAVE, AND YOU WAIVE, THE RIGHT FOR A JUDGE OR JURY TO DECIDE YOUR CLAIMS, AND THAT YOU MAY NOT PROCEED IN A CLASS, CONSOLIDATED, OR REPRESENTATIVE CAPACITY. Other rights that you and we would otherwise have in court will not be available or will be more limited in arbitration, including discovery and appeal rights. All such dispute shall be exclusively submitted to JAMS (www.jamsadr.com) for binding arbitration under its rules then in effect, before one arbitrator to be mutually agreed upon by both parties. California Civil Code Section 1798.83 permits users of the Services who are California residents to request certain information regarding our disclosure of their personal information to third parties for those third parties’ direct marketing purposes. To make such a request, please contact us at the address mentioned below. We do not share your information with third parties for their direct marketing purposes unless you consent to such disclosure. In the event that all or part of our assets are sold or acquired by another party, or in the event of a merger, you grant us the right to assign your personal information collected via the Services.